by Ella's Kitchen Company Ltd. 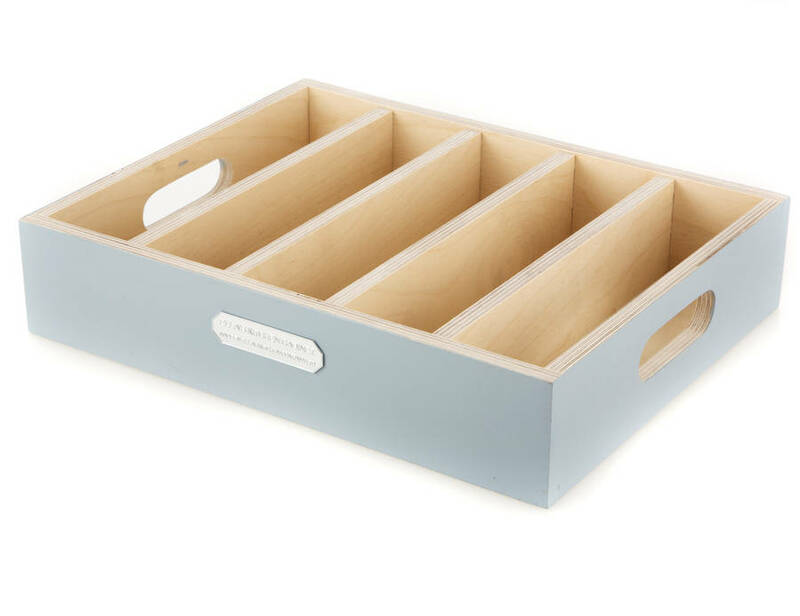 This is an elegant, wooden, hand painted Shaker style Cutlery Tray with 5 roomy compartments, that will fit inside a standard size kitchen drawer. 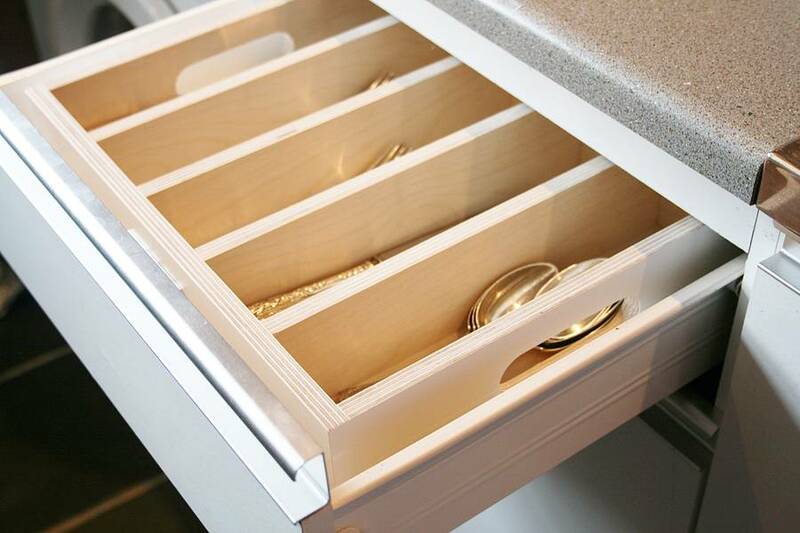 We have given it cut out handles and is easily lifted out of the drawer to take to the table or outside. 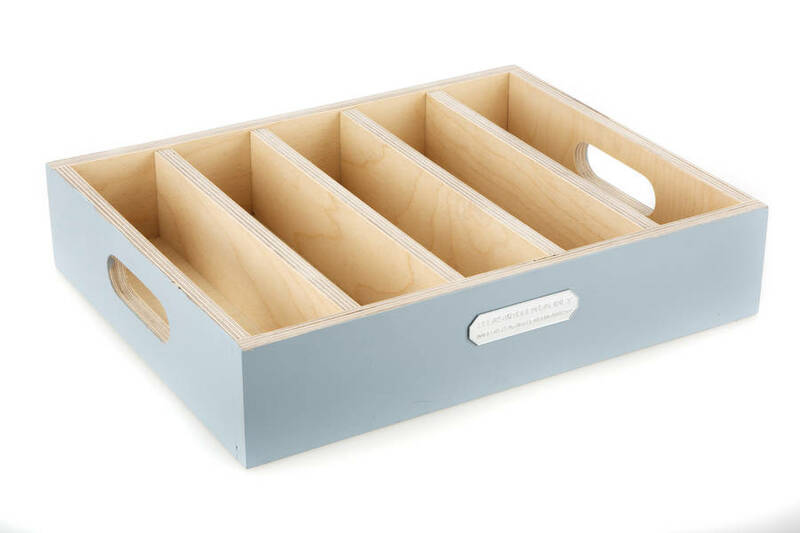 After all, there is no reason why even such functional things in life as cutlery trays for drawers should not be objects of beauty! Why not give one of these as a wedding gift? Made in Shropshire, from Birch ply and hand painted. 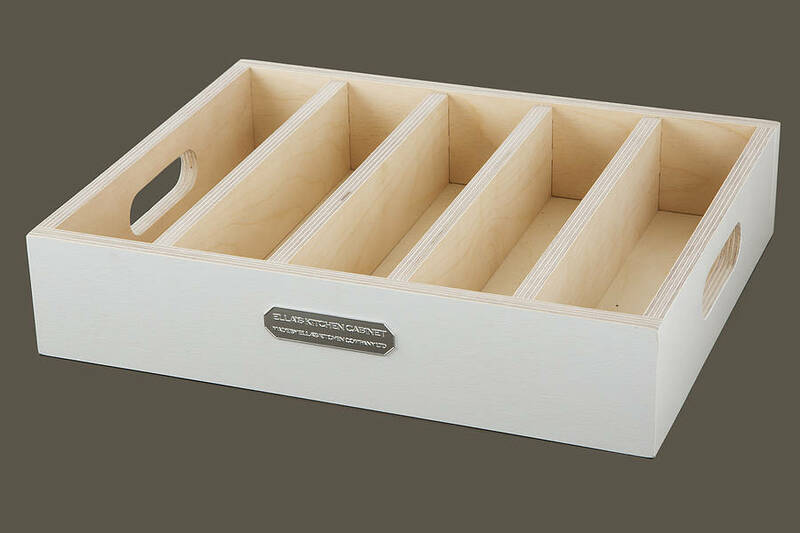 This product is dispatched to you by Ella's Kitchen Company Ltd..
More items from Ella's Kitchen Company Ltd.